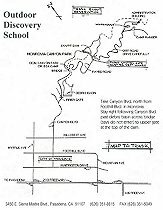 The school is located above the City of Monrovia in the San Gabriel mountains. 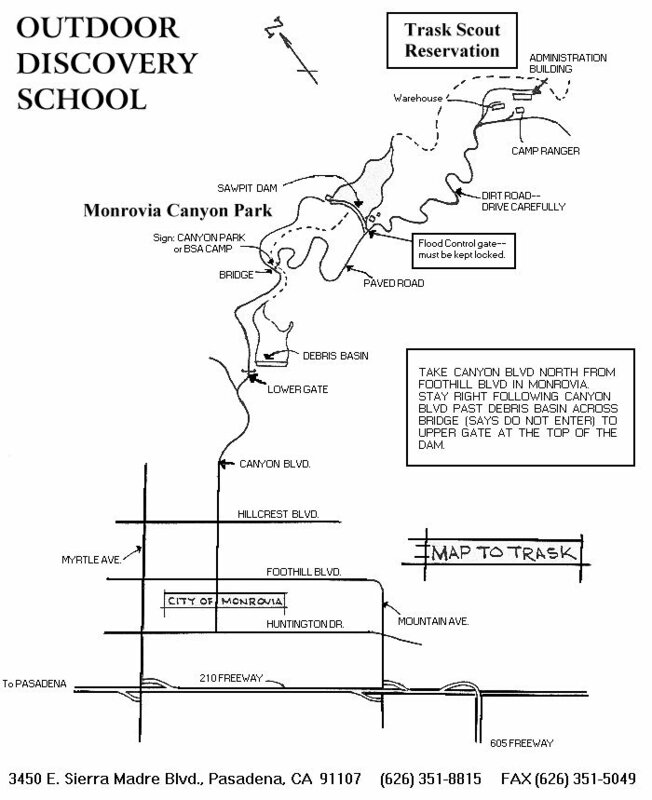 Take Canyon Road north to a fork which leads to either Monrovia Canyon Park (left) or Trask BSA Camp (right); take the right fork through the gate. Follow the paved road to Sawpit Dam to a final gate. Continue carefully up to our school. If needed, buses can be parked adjacent to the dam. Remember, there is a combination-locked gate at the fork in the road, so an RSVP is mandatory to get the current combination.